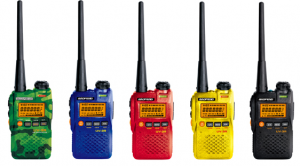 Our goal at prepared ham is to help get radio operators licensed, and ready for emergencies. We frequently work with local CERT teams and disaster teams to help with radio communications. We are a ham radio networking, and training website and we work hard to get communications equipment up and running in time of emergencies and disasters. Join our forums below and join in the discussion! 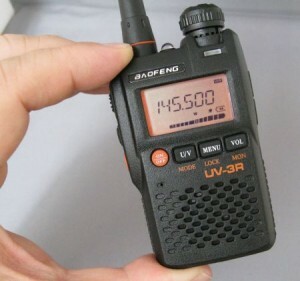 At a recent club meeting there were 3 or 4 people that had this radio. When I got a chance to play with it I honestly could not believe what I was being told about the price. I ended up buying 3 of them. 2 of them as gifts for family members that get their ticket and a RED one for my BOB. Amazon has them for $28.69 with free shipping for Prime Members. Amazon is offering a Free Prime Trial for 30 days. I got mine last night and played with it for a few hours and decided it was well worth the bucks. It is a part 90 device meaning it is not a Ham radio but it is once you set it up. This also means that if you are like me and “open up” every radio you own, you will not need to do it this these. IF THERE IS A REPEATER NEAR YOU I RECOMMEND THIS AS A FIRST TIME RADIO FOR ALL NEW HAMS. The depending part is the vendor, the options, the shipping, the quantity. Hidden Antennas for HOA restrictions? I remember a time when I was forced to live in a condo for a year. The problem is obvious: no viewable antennas. The solution was ever so NOT obvious: I had my antennas totally BELOW GROUND in the basement of the condo. Did it work? Of course. Was it fun? You BET it was! The method that made it work so well was that I chose my frequencies and modes specifically to allow for the huge signal deficit that comes with such a ridiculous notion. In short, I used Morse Code (and occasionally voice, which I hate) pumped to/from a VHF beam and a UHF beam, sitting on a tripod on the floor. I’m betting that some of the readers here are ready to spit out a few “nah, can’t be done”s. But it can, and I did. 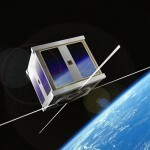 Here’s how: See, we have launched a pretty fair number of satellites that carry amateur radio transponders on them. In my case, I utilized the LEOs (low earth orbiting) satellites which are set to receive my puny signals and then transmit them back to anybody listening to the downstream frequencies. 1. You have choices. Many many many choices. We have instituted regulations that allow for literally millions of frequencies for YOUR use, across an extremely wide variety of bands. 2. By making clever choices, you can render moot the notion that the Technician frequencies are mostly for local use only. In my case in the above example, I used freqs that were for the Technicians. Local only? Nah, I worked three countries. Well, four actually. The USA of course, as well as Canada, Mexico, and Cuba. Part of the choices that we should be talking about — especially for the newcomer — involves the large number of modes. Digital modes, video modes, error-correcting modes, you name it. But that’s for another additional topic. 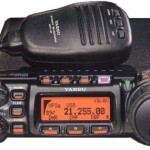 Why would preparedness minded Ham Radio Operators use Digital mode? Now, there’s a question for ya. Why WOULD they, anyway? Data, data, it’s all about the data. Well, actually, it’s also very much about the accuracy of the data. For example, let’s assume that WA4STO and N1FCH are both members of a large compound of preppers. ‘STO has developed a database of food, ammunition, and fuel supplies that are presently in stock, but located in various buildings within the compound. ‘FCH realizes this, but she’s not sure if the supply of diesel fuel has been exhausted. If she only knows how to use a microphone, she’d be relegated to trying to make contact with somebody within (our outside of the compound) who might know the answer. But then she might also have to suffer a misunderstanding of how many gallons were actually left. That’s the unfortunate nature of amateur radio voice communications. We can do better. Much better. And we do. In addition to the database itself, ‘STO (clever lad that he is…) has also implemented an amateur radio solution to the notion of querying the database without being concerned about the “people factor”. Now, ‘FCH can type in a query and get a real-time answer without worry about errors, or even the availability of someone who knows what’s going on. 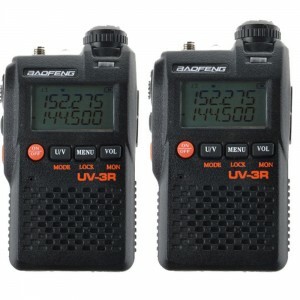 All on frequencies which can be utilized by the beginners in amateur radio. This can be scaled much higher than just local (within the compound) data. For that, I’ll give you an example from 1991. I was working for the ARRL in Connecticut at the time, and was contacted by a radioman on board the USS John F. Kennedy. He had just gone onboard, realized that there was surely a way to get rid of the thousands of telegrams that he had on the hook, destined for friends and loved ones back home. He also knew that he had an amateur radio modem there, but no documentation and no notes from his predecessor. I filled him in on the details and provided him with information on the networks that had been set up for him to utilize, as well as how to contact folks back in the States who could accept his messages for delivery and/or relay. I’d like to think that this was a source of many a smile from faces separated by thousands of miles.